Tired of decluttering and organizing your home every season only to have stuff quickly pile up again? 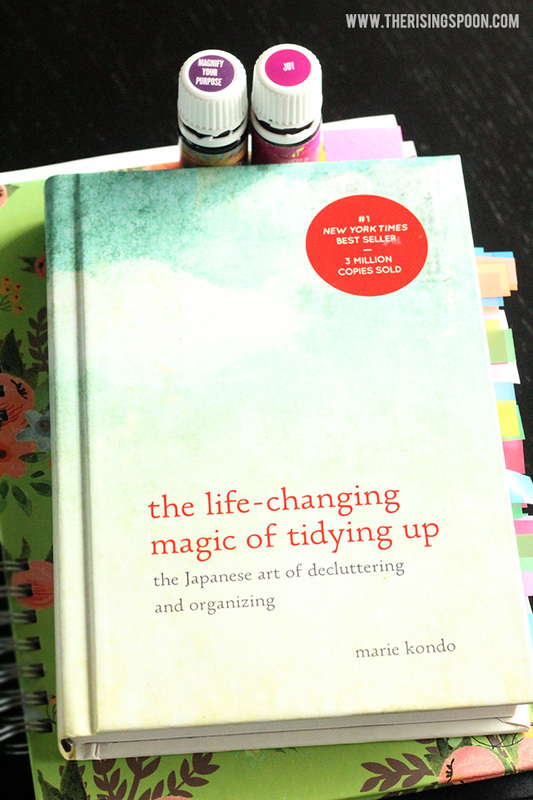 I was, too, until I discovered The Life-Changing Magic of Tidying Up book and its KonMari Method for tidying. It has truly changed my life for the better! Occasionally you come across something so immediately and profoundly impactful on your life that you're compelled to share it with all your friends and family - if not the whole neighborhood (or the internet in this case). In early January, I experienced just that when I bought a copy of The Life-Changing Magic of Tidying Up by Japanese author Marie Kondo. 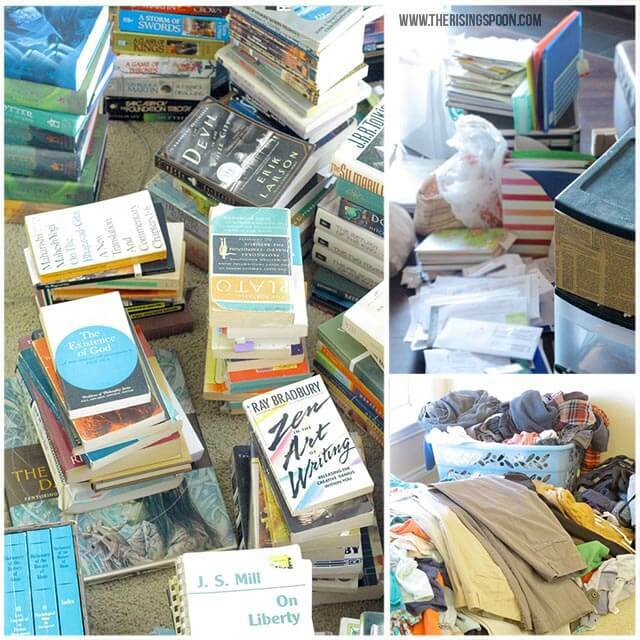 It's an insanely popular book on decluttering a.k.a. "tidying" (#1 on the New York Times bestseller list and seemingly always checked out at the library), so you've probably already heard of it by now. This book ditches typical organizing advice like "do a little each day" or "focus on one room at a time" and instead teaches you how to tidy your home (not to be confused with cleaning) once and for all by using the KonMari Method. The KonMari Method calls for sorting through the things in your home using a category-by-category system in a specific order and discarding anything that doesn't 1) spark joy or 2) provide an immediate practical use. Then and only then (when you're completely finished with each category) should you move onto organizing what remains. Her category system is brilliant (it's designed to help you move through the discarding process quickly and build up momentum), but the main thing that sets Kondo's tidying philosophy apart is her emphasis on possessions sparking joy. This is her main criteria for assessing whether or not you should keep any object during the discarding process. Why? She believes that we should be surrounded by things that bring us joy and that in the tidying process "we should be choosing what we want to keep, not what we want to get rid of" (pg. 41). I love this emphasis on the positive instead of the negative! According to Kondo, the only way to know whether something truly sparks joy is to touch it. If you're paying attention, your body has an immediate reaction (usually emotional) to the object. That's right...you have to touch every single thing you're sorting through! Seem daunting? It's actually not so bad. And before you start rolling your eyes and saying "well, my toilet brush doesn't spark joy, but I'm sure as heck not throwing that away", there are plenty of functional objects in your home that spark joy (indirectly) through the results they produce. Does your toilet brush by itself fill you with happiness? Not likely. But, a clean toilet probably does. I meant to read The Life-Changing Magic of Tidying Up last spring, but (foolishly) thought I could glean the main concepts from others and apply them to my own life. Nope! Did some of the core principles help me remove clutter from my life? Sure. But it only made a temporary dent in the overall amount of "things" in my home. 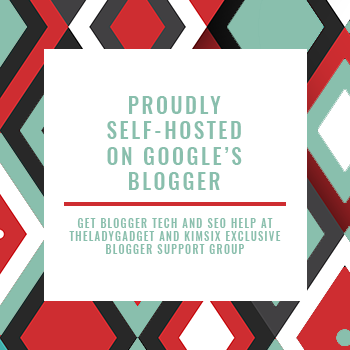 By skipping the book last year, I missed out on her stellar category-based system (super duper important) and all the helpful explanations and anecdotes (from herself and clients) sprinkled into every chapter. So, I finally bit the bullet and read it in early January. The whole time I was reading it, I kept nodding my head in agreement and bookmarking passages like crazy. 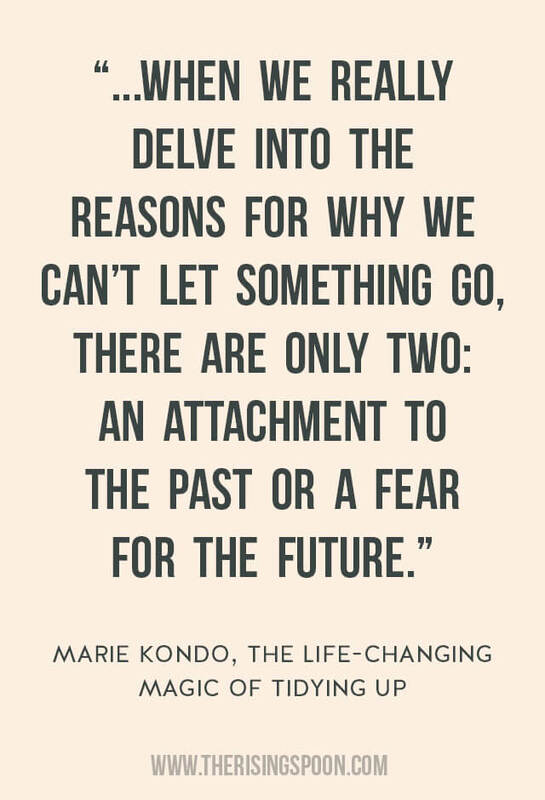 Certain sections felt like she was speaking directly to me, addressing justifications, rationalizations, and emotional issues that had kept me from letting go of so many belongings over the years. What Makes The Life-Changing Magic of Tidying Up So Special? This is not your average organizing and decluttering book. If it were, I promise you I wouldn't have read it! I'm a self-professed "Type B" who dislikes the monotony of cleaning day in and day out. 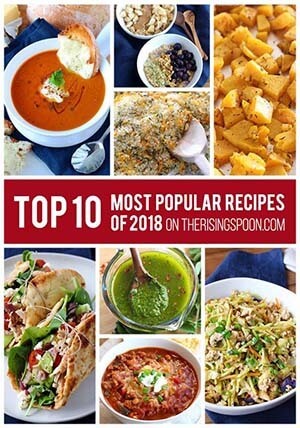 (Neverending dishes, anyone?) And the idea of setting up a fancy, complex organizing system stresses me out. While so many other resources claim the secret to a clutter-free home is finding the perfect storage system (expensive & complicated) or throwing things away in bulk (temporary solution), Marie Kondo bucks this trend. 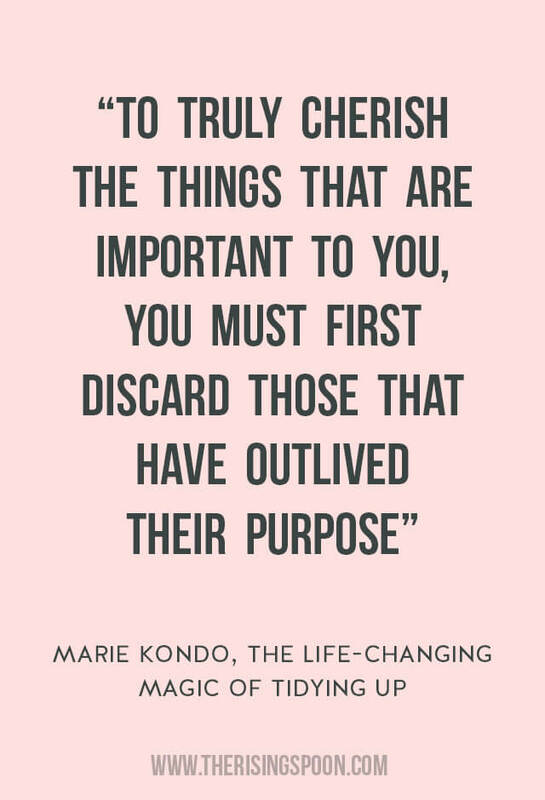 The KonMari Method is set up to help you sort through your possessions quickly & effectively so you keep only what you truly want or need and discard the rest. The category system helps you stay on task (not getting distracted by finding things you haven't seen for years) and the spark joy criteria helps you whittle down what to keep by truly listening to yourself (using emotion and intuition). Try it any other way and you'll likely run into rationalizations for keeping unnecessary stuff: "Oh, I might use this some day" or "This is almost new so I should keep it" or "This has some value, I should hold onto it to sell" or "So and so gave this to me, so I can't get rid of it". The excuses are endless! I know, I've used them all. 2) If you follow the core concepts, this book produces tangible life-changing results. I have to admit, even before reading her book, I was oh-so-ready for an entire home purging! I was tired of having "stuff" everywhere. Little things (like papers and knickknacks) that accumulated over time making areas feel cluttered. Big things I'd hung onto for years that took up too much space. Too many things, period! But my eagerness to purge wasn't new. Year in and year out, I experienced spring fever and wanted to declutter, clean, and organize my home. Yet, every time I tried it on a massive scale, I didn't get far. I'd run out of steam or get distracted sorting through my belongings. I barely made a dent in my possessions before they piled up again. I knew I needed something different. So, I read this book at the beginning of the year, full of New Year energy. I knew right off the bat I wouldn't be able to accomplish it all in one day (not sure how anyone does that! ), but I committed to following the categories in order and not moving forward until the last one was finished. I also promised myself that I wouldn't let any excuses (rationalizations, guilt, attachments) get in the way of discarding things. This is perhaps the most important factor in successful tidying, as "tidying is a dialogue with one's self" (pg. 57). It took me about two weeks to finish all my tidying (decluttering, donating, recycling, and reorganizing) with some rest days taken in between certain categories that were more emotionally draining (books for me). I gave away a TON of stuff (mostly books and clothes) and it felt amazing! I did take some pictures of the before and after results of my decluttering (plus bags of stuff I gave away), so I might write a whole post about my experience working through the different categories. I'm not going to lie...there were some tears! The end result? I feel like a better, happier, more liberated version of myself! The weight of so many possessions I'd kept for years is gone! My home is now filled with possessions I actually use or like. The energy in my home is so much more positive and full of opportunity. I'm more productive on a daily basis because I'm not distracted by unnecessary things all around me that cause mental clutter (paper is a big one for me)! But more importantly, each room (or space, to be more specific) now has a purpose and I know where everything is located. No more digging through drawers or closets trying to find something, or having things pushed to the back only to be lost and forgotten. This saves me soooo much time! Is my home perfectly clean and tidy all the time? Heck, no! I actually live in it. And I'm a pretty messy person by nature. However, I'm more diligent about immediately putting things away in their proper place and processing things that needn't stay (recycling, trash, donation). For example (just to name a few), I enjoy having a clean, uncluttered space so much that I now put away my clothes right after they're dry (so unlike me!) and sort through all the mail as soon as I get it instead of letting it sit for weeks in a pile! Just in case you're the type that skims a post, I'm making a short list of (some) of the benefits of using the KonMari Method from this awesome little book. It helps you declutter and purge quickly so you don't get distracted and drained of energy while sorting through your things. Organizing by category helps you quickly find things around your home because you're placing the same thing all in one place versus scattered around for convenience. Using the "spark joy" criteria and category-by-category system for all of your belongings forces you to confront yourself (gulp) and helps you process the past, so you can truly live in and enjoy the present. It gives you permission to let go of gifts from loved ones. This was a big one for me! Once you remove the noisy clutter from your home, you'll have space and energy to concentrate on things you actually use and enjoy! In turn, this helps you truly appreciate your belongings. It makes you more choosy about what you bring into your home, which could save you money down the line. You'll be more careful about your purchases and mindful about what you buy after doing the KonMari Method. What If I Don't Agree With Something in the Book? Take it with a grain of salt and keep reading until you find something that works! It's important to keep in mind that Marie Kondo wrote this book from her own unique perspective: as a single Japanese woman with no kids (at the time - she's now married with a child). 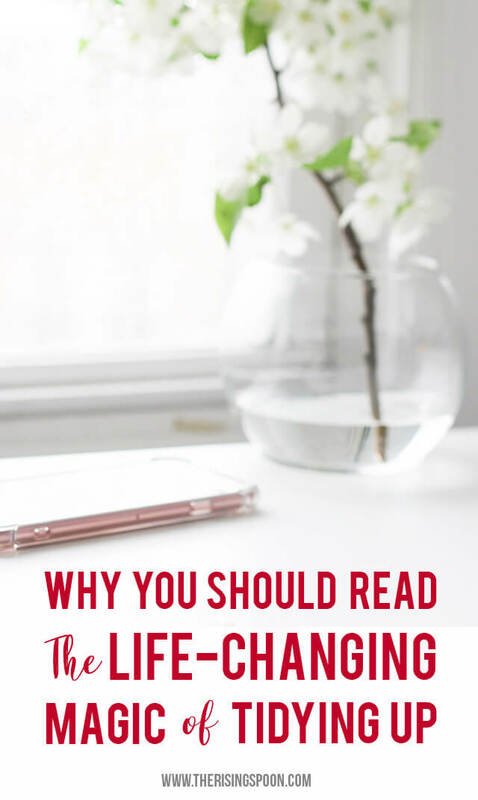 If you're a stay at home mom with several little ones or a full-time college student with 2-3 roommates (just to name a few other examples), you'll probably have to adapt the KonMari Method to your personal schedule and situation. That's okay! Although she is pretty zealous in the book about folks not straying from her suggestions, it's just her opinion! Take what works for you and run with it. I ignored the part where she recommended you chuck most of your paperwork (not going to happen with taxes in the United States) and didn't feel compelled in the slightest to fold my socks and shirts the way she recommends. I also don't dump out my purse every night and put everything in a specific place. And guess what? The book still changed my life! However, I DO personally recommend sticking to her category-by-category system tightly, no matter how long it takes you! Already Read The Book and Ready For More Inspiration? Have you heard about the KonMari Method or used it in your home? What are your best tips for conquering clutter?